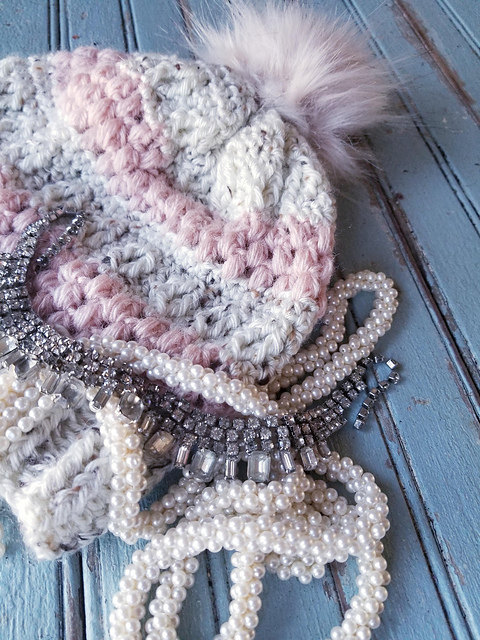 The fantastic beanie in pearl and diamond colours. This is a pattern for everyone. You can adjust the size. Thanks to this the pattern fits every head. The cap is very comfortable and hugs you. Ideal for the winter season! An additional effect of this great hat is an artificial fur pump. This is a beautiful design that you can do in a few moments. You can download the free pattern below. In the tutorial you will find a lot of useful information and instructions. 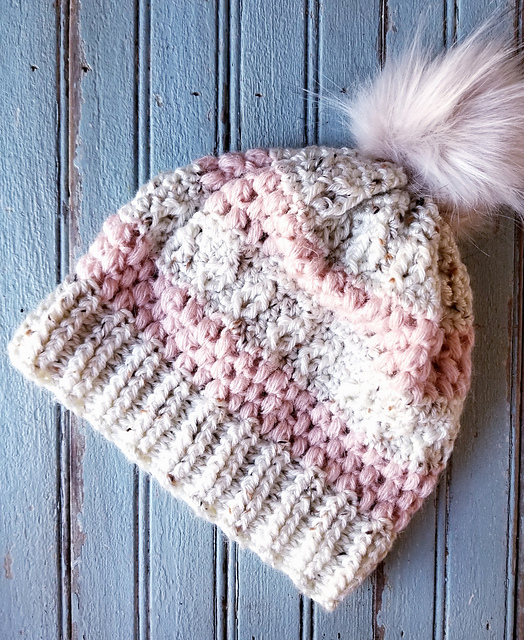 Verona Beanie Free Crochet Pattern is here.